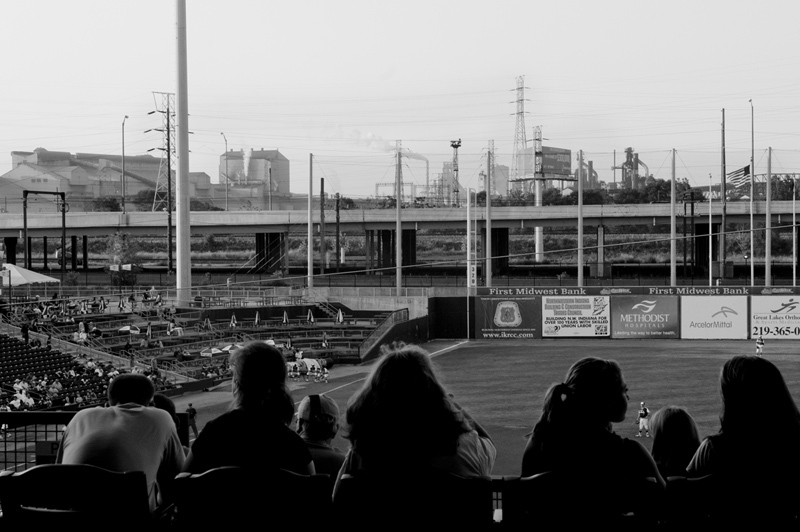 "BROKEN PROMISES: THE PINE RIDGE INDIAN RESERVATION"
"GARY, INDIANA: CITY OF STEEL"
Spectators at the RailCats, a minor-league baseball team, are pictured against the backdrop of the "Steel Yard" stadium and the U.S. Steel plant in Gary, Indiana. The city of roughly 80,000 was founded in 1906 by the U.S. Steel Corporation as the home for its new plant. But in the 1960s Gary's fortunes, so closely linked to the steel industry, took a downturn. Businesses closed and the crime rate spiraled earning Gary the infamous distinction of "Murder Capital of America."